I think I finally found my groove again and have been settling into my routine. I really enjoy cooking meals at home for Lin and I but things have been a tad stressful lately. I have been revisiting my Cherry Bombe magazines too and highly recommend you subscribing to it ASAP. 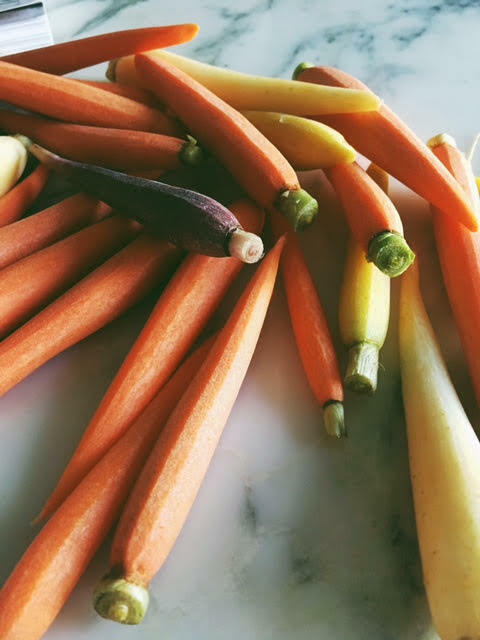 Anyhow I made these amazing carrots last night with a delicious baked chicken breast and I think you will enjoy them too. Spread the carrots in a single layer on the hot baking sheet. Combine the olive oil and 1 tablespoon of honey in a small bowl and pour over the carrots. Sprinkle with 1 1/2 teaspoons salt and 1 teaspoon pepper. Roast the carrots until they start to blister, 10 minutes.